A 12-Blog Series on Redefining the Role of a Christian Worker. Over the last 50 years, the Americanized Church seems enamored with developing successful ‘leadership’ in our churches. The line of thought is this. If the church is to be successful in our mission to bring the Gospel to a lost and dying world, we must have top-quality ‘leaders’ who are able to ‘lead’ the cause of Christ. My former co-worker in Promise Keepers, Glenn Wagner, states in his excellent book, Escape from Church Inc., that the church has, unfortunately, taken most of our cues on ‘leadership’ from the corporate world of America, replicating the successful leadership formulas that have worked well in our consumer-driven society. As I see it, my friends, something needs to change. Radical change in the way we define successful Christian leadership. And the question in the American church today should not be, ‘Do we need leadership?’ but rather, ‘What kind of leaders is God asking men and women to be? This 12-session blog series is my attempt to engage you in the conversation of where that change just might begin. Join us! 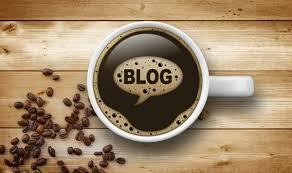 Below, you will find a complete list of all 12 blogs in our series. We suggest you bookmark this To Lead Or Not To Lead home page for ease of use. Enjoy! Session 1 Change. Change. Change. Session 2 This Outline Just Won’t Do. Session 3 Maturity and Qualifications for Leadership. Let’s Begin. Session 4 The Twenty Top Qualifiers for Successful Christian Leadership. Session 5 Words. Words. And More Words. Session 6 Playing By the Numbers. Session 7 Not The Most Impressive Numbers. Session 8 Leadership Qualifications? What’s the Book Say? Part I. Session 9 Leadership Qualifications? What’s the Book Say? Part II. Session 10 If Not ‘Leadership’, Then What? Session 11 Agape. It’s All About Love. Session 12 Agape. It’s All About Becoming Real. Don’t take this journey into To Lead Or Not To Lead alone! One of the best ways to explore the on-going applications of this blog series is to walk alongside a biblically-based, Christ-centered spiritual director who is familiar with how to make material like this part of your overall spiritual formation in God. Many of our directors in our Sustainable Faith-Heartland network are available to companion you in your journey with Jesus. Click here for more info.